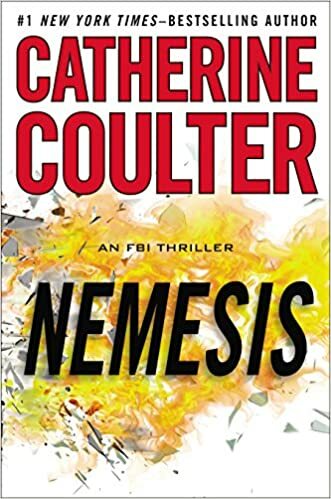 Nemisis: An FBI Thriller by Catherine Coulter – Books, Books and More Books! I’ve never missed a Coulter book. The FBI series is one of the best. FBI agents Dillon and Savich are married agents with a young son. Most cased they work together, but Coulter has split them up this time. While Sherlock is waiting to board a plane at JFK to get home to her family, suddenly the man in front of her has a grenade. At the same time a young boy finds a bomb in St. Patrick’s. Are they connected some how. Now Sherlock must stay in New York and get to the bottom of what happened before more people die. At the same time Savich is having his own odd case. People are dying and the ones doing the killing have no memory of it whatsoever. This book has a little of everything, terrorism, kidnapping, murder, witch craft, Wiccans and even dream attacks. As always I read this book in one day because I simply wanted to know what was going to happen. Gread read that I highly recommend.